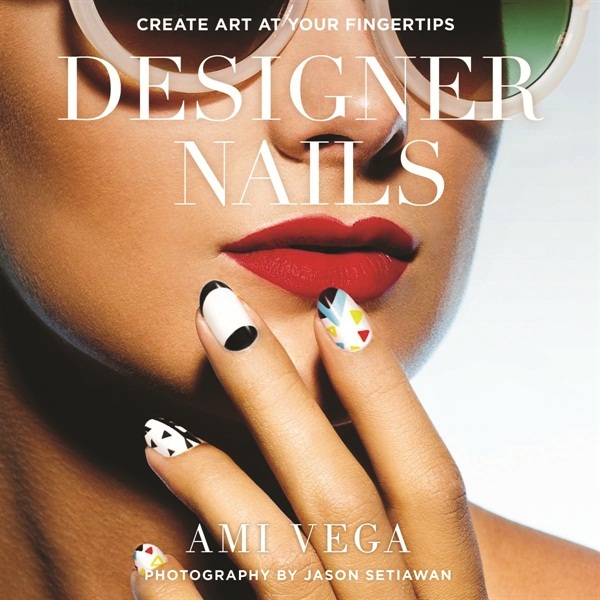 Ami Vega’s new book, Designer Nails: Create Art at Your Fingertips, presents 50 different nail looks that vary in difficulty and detail. 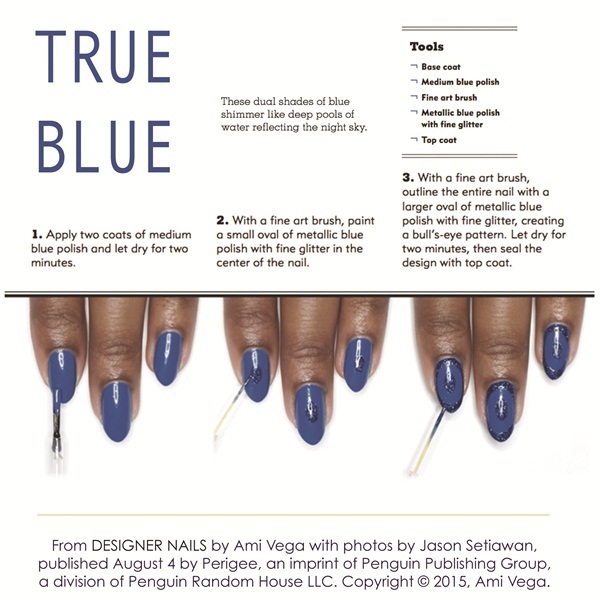 Ami Vega has been in the nail business a relatively short time, yet her achievements include extensive editorial work, a roster of celebrity clients, a popular nail art blog, and now a consumer nail art book. Designer Nails: Create Art at Your Fingertips presents 50 different nail looks that vary in difficulty and detail — from simple geometrics on natural nails to detailed lace patterns on long stiletto nails. The how-to book also includes expert advice on growing and maintaining healthy nails. Vega’s professional interest in nail art began in 2011. “When nail art became a huge deal, I decided to start my blog, El Salonsito,” she explains. “I had always done nail art as part of my personal style, but it quickly became more than just a pastime. 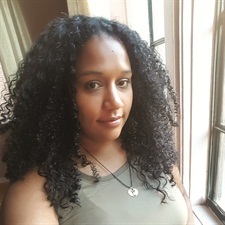 In 2012 I went to nail school, and in 2013 I signed with Marek & Associates as one of their editorial manicurists.” In the years since starting her blog, the New York City-based tech has worked with companies like Essie, Revlon, and Maybelline, and worked with celebrities like Demi Lovato and Julianne Moore. The book can be found at most retailers and at www.penguin.com. Vega’s nail art blog can be found at www.elsalonsito.com.